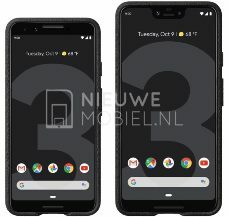 A Dutch website claims to have laid its hands on official Google Pixel 3 and 3 XL images. They contain no surprises compared to the leaks on the same subjects that have gone before it. However, these images do show the phones in traditionally Google-like fabric cases. The Pixel 3/3 XL rumor mill continues to grind on unabated, and probably will right up until their (reportedly) October release. 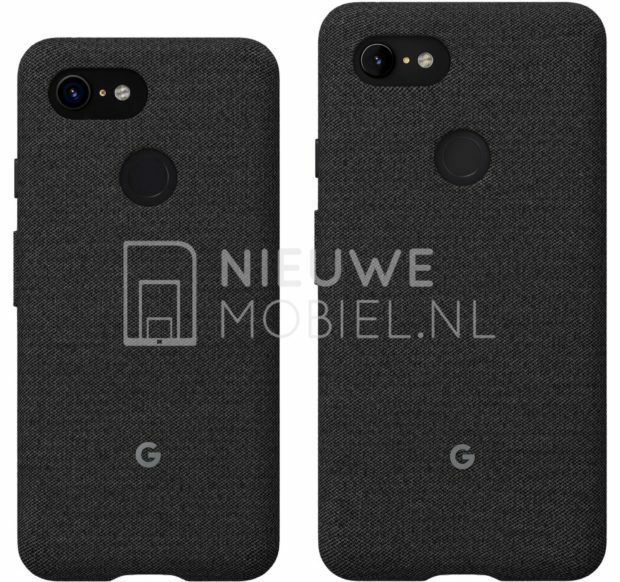 The latest posts that may leak the appearance of the devices comes courtesy of the website NieuweMobiel.nl. This Dutch-language website presents two images as press content related to Google's upcoming device release. The images show two phones, one larger than the other, with front-facing dual speakers, a modern enough aspect-ratio and indicators of Android Pie on their screens. As before, the bigger phone has the pronounced notch for which we are all braced from prior leaks. The notch contains one front-firing speaker and dual selfie cameras, which, again, is nothing new. The second image shows the rear panel of the phones. Both have single-module cameras, which suggests that Google is once again going to buck the multi-rear-shooter trend with the XL variant. The phones also sport fabric cases, which admittedly is a very Google thing to do. Both phones appear to be black in color, which does nothing to address other recent rumors of SKUs in multiple shades. By now, it seems that there are two distinct possibilities for Google's next smartphones: either we now know everything there is about them - or their unveiling will end up being the surprise of the season.